Big news! 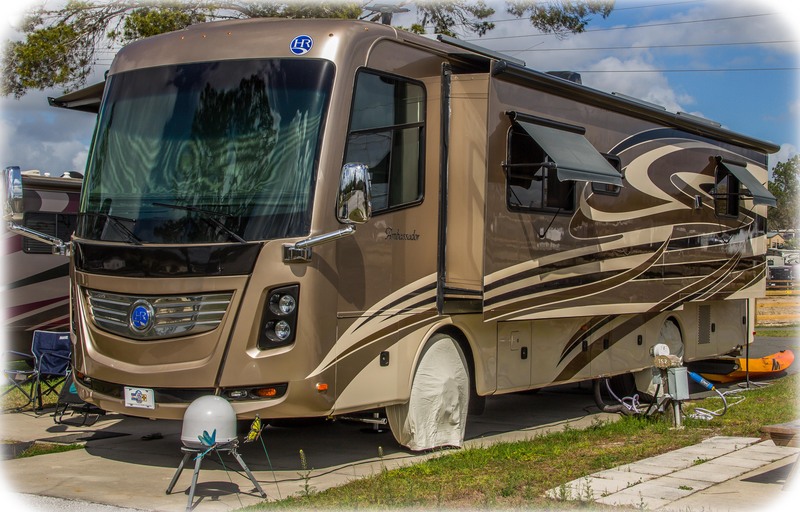 We’ve traded in our 2003 Holiday Rambler Endeavor on a 2014 Holiday Rambler Ambassador. Ole Fred was comfortable and we loved him but he was getting a lttle tired and some of his components were starting to fail. Mostly we wanted to upgrade our lifestyle. 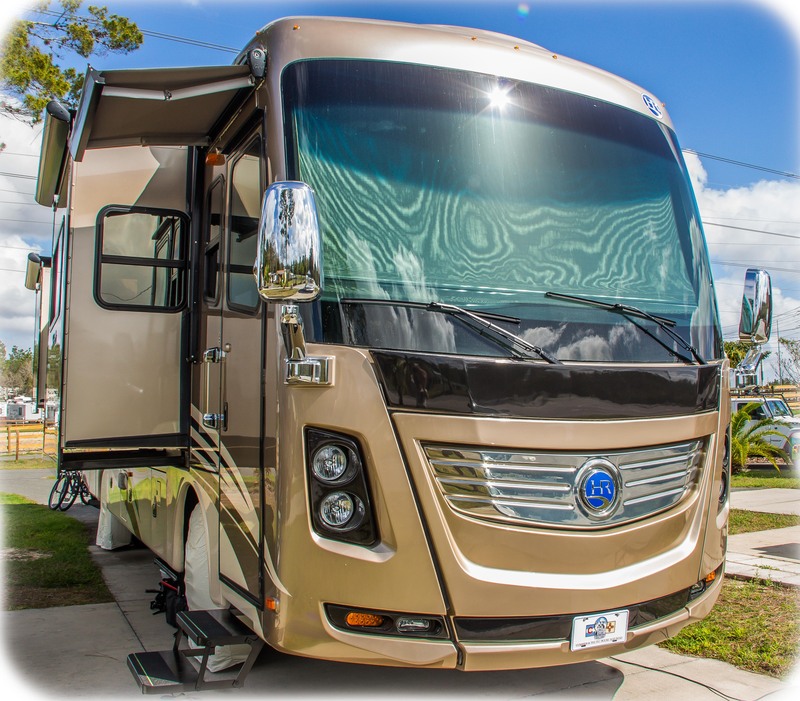 Goldie is a 2014 Holiday Rambler Ambassador 36PFT. 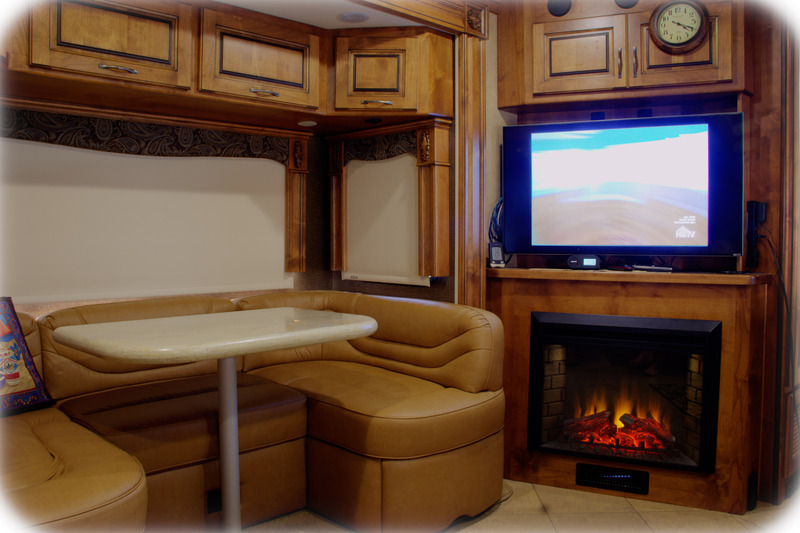 She’s 37 feet long with 2 slides on the curb side and 1 giant slide nearly the full length of the RV on the drivers side. 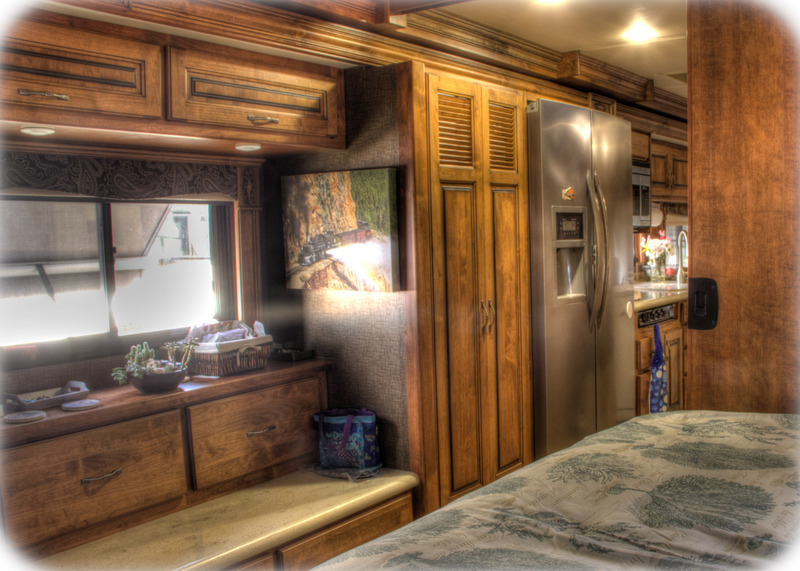 She has a huge residential refrigerator, king size sleep number bed, ceiling fan, central vac system, big screen TV and fireplace. She is powered by an International Maxx Force 350HP diesel engine and 6 speed Allison transmission. The generator is a Onan 8000 diesel. 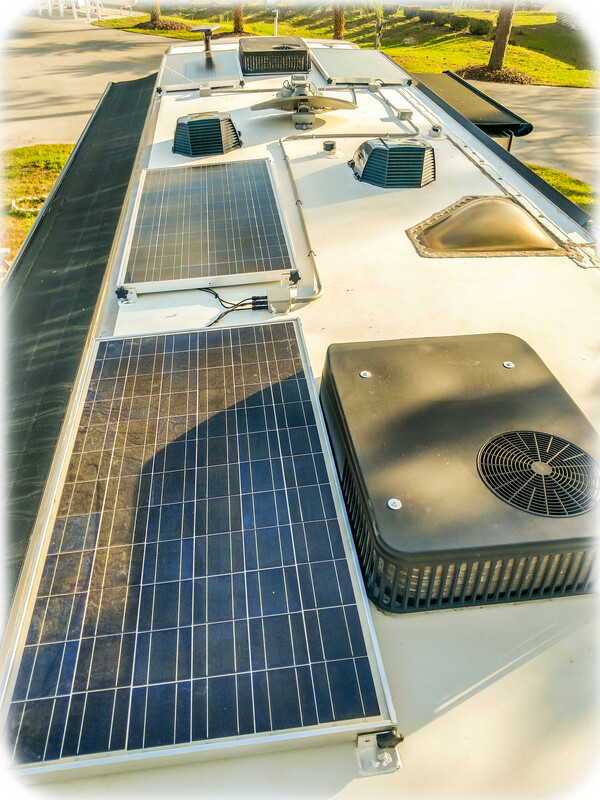 Mark helped us re-install our solar panels from Fred so we still have 680 watts of solar. 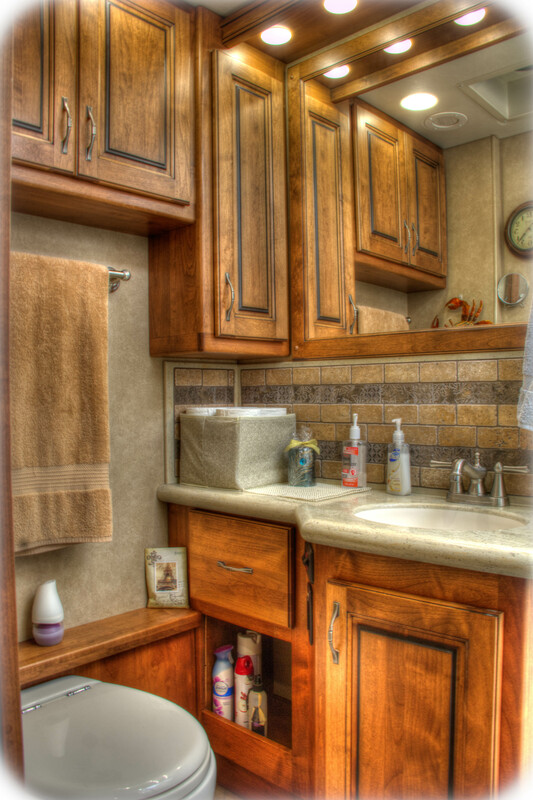 We bought Goldie at Lazydays RV Superstore. 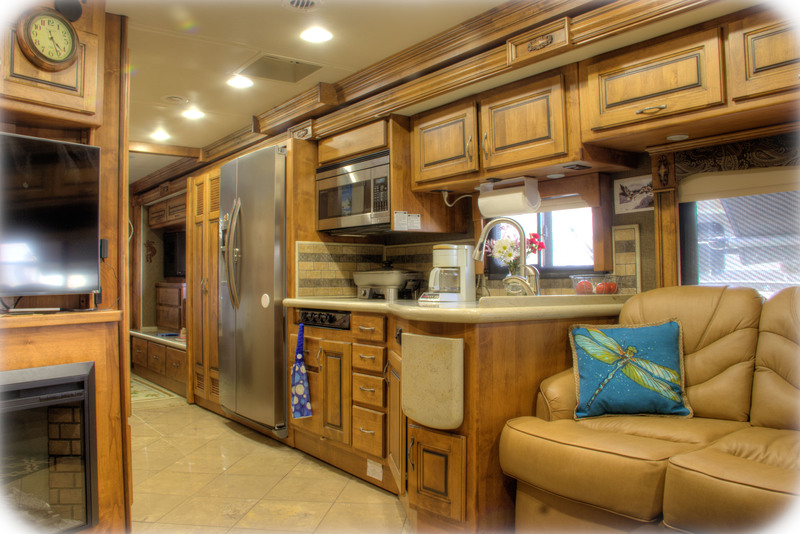 They claim to be the RV Authority and sold nearly 700 RVs in January. Busy, busy place but good customer service for the most part. We will be going back for a little warranty work and hope that goes well. 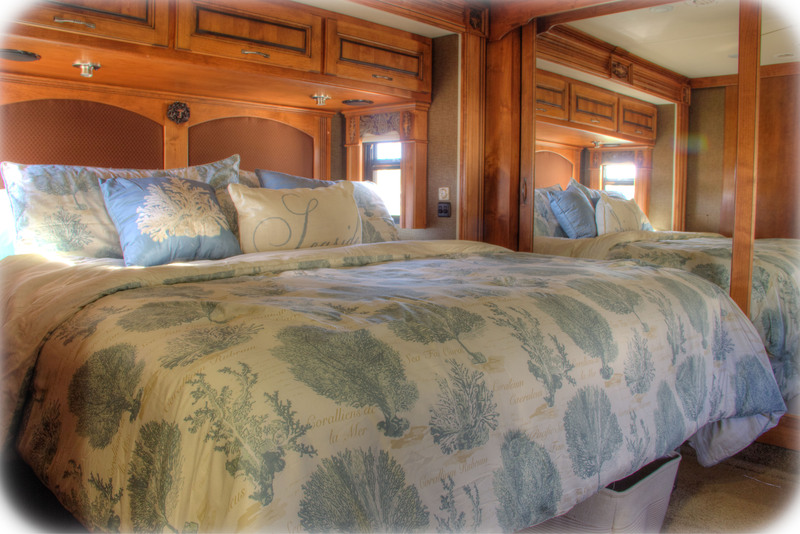 We’re livin’ the dream in our new luxury motorhome! 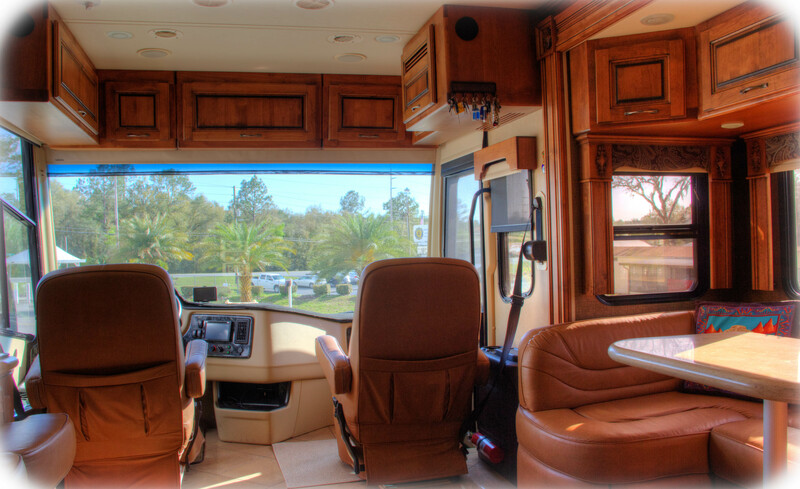 This entry was posted in Florida, RV and tagged Columbia Restaurant, Holiday Rambler Ambassador, Lazydays. Bookmark the permalink. looks great. Happy for you with your new home. Wow Randy she’s beautify! How long are you staying in Tampa for? Love your new home! Lots of very nice features that I know you guys will enjoy. Hope you have a good time wherever you’re going this next month. We leave Saturday for a cruise to Hawaii to celebrate our 40th wedding anniversary. Since it is 32 degrees and snowing at the moment, Hawaii is sounding pretty good.